On 1/18/14, MedFriendly, LLC, published the most comprehensive online review on Stevens-Johsnon syndrome. Stevens-Johnson syndrome is a rare but serious condition in which the skin and at least two surfaces of the mucous membranes (or the mucous membranes only) are damaged by a severe reaction to infection or medication. The Stevens-Johnson syndrome entry is the latest in hundreds of easy to understand entries available for free at MedFriendly.com. All entries on MedFriendly are written in an easy to understand format, with all complex terms defined within the same entry. This prevents the reader from needing to do extra research to understand what the writer is trying to convey. All entries are written on a single page, exposing the reader to fewer ads. Please share this link with others, bookmark MedFriendly and the MedFriendly Blog, and follow us on the MedFriendly Facebook and Twitter pages. The age of genetic testing made its impact when the human genome sequencing project was completed in 2003. From that point onwards, the understanding of drug behavior and how different therapies can be modulated has continued to evolve. More specifically, genetic testing today refers to the detection of mutations that define a therapeutic response in humans. Pharmogenomics has also provided a key insight into the understanding of disease initiation. A recent study conducted at the University of Washington School of Medicine points out a gene PON1, which plays an important role in cardiac activity. Previously, physicians thought that the high density lipoprotein being cardio-protective would play a role in cardiovascular risk stratification. However, the findings reveal that there is a liver based enzyme, encoded by the gene PON1, which protect against a number of human diseases. Using genetic testing, the physician can know the activity level of the enzyme and which therapy would best suit it. A major trend that has allowed pharmacogenetics to establish itself is that of bioinformatics. 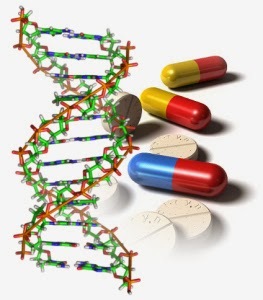 Bioinformatics uses the data of DNA and proteins in living organisms and modulates them in the form of simulated drugs that physicians can administer. An example for professionals in this regard is the ExPASy bioinformatics resource portal, where the doctor or a pharmaceutical researcher can check the secondary structure of any protein, and effectively decide which drug would work best. There are also conduit resources that are helping healthcare professionals to use medication monitoring and manage the medication therapy of patients. According to www.millenniumlabs.com, the use of advanced technology by these resources, combined with research and education, helps doctors and relevant professionals personalize treatment plans, improving patient outcome and safety. Among the many benefits of such an approach, two are most important. First is the fact that the data can be used to decide whether the drug being given is effective or not. Enzymatic detoxification has been proven in a number of studies as the best method to know the efficacy of a drug. Secondly, the drugs that are given in cancer therapy are harmful to normal body cells. However, using molecular medicine, which is based on the understanding of genetic behavior, targeted therapy can be selected. The pharmaceutical sector and healthcare professionals are looking forward to the cure of complex diseases such as cancer and autoimmune disorders. The existent mode of treatment focuses on reducing the damage or managing the symptoms. However, genetic intervention and therapies such as siRNA provide a new avenue of hope, which means that pharmacogenomics can become a dominant field. The underlying principle in this approach is that the alteration of gene expression is responsible for disease. Genes encode proteins through RNA as per the central dogma of molecular biology. By inhibiting RNA formation, the formation of toxic proteins in the body can be inhibited. This is an excellent approach, which provides a promising discovery strategy. It is now up to the doctors to utilize the effectiveness of pharmacogenomics to help reform healthcare. The above entry is a guest blog post. Malingering is the intentional production of false or grossly exaggerated physical or psychological symptoms motivated by external incentives such as avoiding work, obtaining financial compensation, evading criminal prosecution, avoiding military duty, or obtaining drugs (APA,1994). In layman’s terms, it is lying or significantly exaggerating in order to get something. a) It decreases access to needed healthcare services (e.g., doctor appointments, diagnostic tests, therapy sessions) for patients with genuine health problems. This can delay diagnosis and reduce treatment onset and treatment effectiveness. b) It leads to billions of dollars in wasted health care resources for unnecessary doctor visits, diagnostic tests, and treatments (e.g., medications, therapy sessions). This leads to increased insurance premiums. c) It leads to billions of dollars in wasted tax dollars towards fraudulent disability awards (e.g., Social Security Disability, military disability benefits). Disability and compensation benefits awarded through private workers compensation companies, no-fault insurance companies, and other private companies are a further cause of wasted funds and increased insurance premiums. d) It leads to billions of dollars wasted in legal costs and settlements for companies defending themselves against fraudulent claims. Many companies opt to pay to settle a case rather than pay the larger cost of mounting a legal defense. Malingering is a topic that I have spent a great deal of time writing about. For example, in August 2012, a book I co-edited on the topic was published. The title is Mild Traumatic Brain Injury: Symptom Validity Assessment and Malingering. One of the chapters provides suggestions to help physicians and non-neuropsychologist healthcare providers detect poor effort and symptom exaggeration that can be a result of malingering. In September 2012, I was interviewed for a story by amednews.com entitled, Detecting Deception: How to Handle a Malingering Patient, which aimed to raise physician awareness about the issue. I have continued to publish on this topic in peer reviewed academic journals and international lectures but have not written about it on my blog since 2011 and figured it was time for an update due to some recent developments. As I showed in the opening chapter of my book with numerous tables, there has been a significant increase in publications (e.g., research articles, books) about malingering, in addition to legal cases mentioning the word. Thus, it is not as if healthcare providers, insurance companies, and government officials are unaware that the problem exists. Despite this increased knowledge of the topic, in the most recent update of the Diagnostic and Statistical Manual of Mental Disorders-5 (DSM-5), the word “malingering” has been removed from the index. The DSM-5 is a guide that many healthcare providers use to diagnose mental disorders. In DSM-5, malingering is no longer listed as an issue that needs to be ruled out when a patient is suspected of having a somatoform disorder (now called a “somatic symptom disorder”). As it has traditionally been conceptualized, a somatoform disorder is a condition in which one develops physical symptoms in response to psychological distress. While these patients may exaggerate, the exaggeration is not done for external gain (e.g., to win a lawsuit). In reality, some patients malinger and have somatoform disorders but in some cases the distinction between the two is an important one to make. While malingering does remain in the text of DSM-V, it is buried within it on pages 726 and 727 and difficult to find even if you are specifically searching for it. I do not believe that the omission of malingering from the index and other sections of the DSM-V was an accident. As I described in my December 2011 blog entry on this topic, there are many reasons why physicians and other healthcare providers are motivated to ignore the topic of malingering. These reasons include not wanting to deal with retaliatory false complaints lodged against them for exposing it, the uncomfortable nature of discussing the topic with the patient, extreme patient advocacy by healthcare providers, being overly trusting of patient self-report, and not wanting to cause the patient a loss of financial benefits. a) If a healthcare provider labels a patient as malingering, the insurance company will likely not pay for additional costly treatments and medical tests. That potentially can lead to losses of thousands to millions of dollars of treatment revenue. For example, hospitals make a great deal of money from diagnostic tests (e.g., magnetic resonance imaging), weekly therapy sessions, and pain medication injections. b) Due to healthcare reform, hospitals will now receive more money from the government if they have higher patient satisfaction ratings. Identifying malingering results in lower patient satisfaction scores and would then lead to less money for the hospital. c) Some healthcare providers may be knowingly contributing to malingering by signing off on fraudulent disability applications. This presumably involves some type of kickback fee for enabling the fraudulent claims. As an example of healthcare providers enabling malingering, a large scheme was recently discovered in which about 1,000 people (mostly police and firefighters) defrauded the Social Security Administration (SSA) for disability benefits, claiming mental illness from the September 11th attacks. In this way, malingerers often prey on other’s sympathies and trust to try and avoid detection. They know that it will be politically incorrect for anyone to challenge a disability claim based on terrorism exposure, particularly if they were in a trusted societal occupational role (e.g., cop, firefighter, corrections officer). It was a well-organized scheme in which people were coached on how to fail memory tests, how to fake panic attacks, how to dress for appointments, and how to build a false medical record for about a year before applying for disability. The cost to society? 400 million dollars. And that is just for these 1,000 cases. That is a drop in the bucket compared to how much of this is taking place throughout the country. How were they eventually caught? Instinctively, you may think that the doctors figured it out. However, that was not the case. It finally took two Social Security Administration investigators to become suspicious of how it was that people documented as mentally incapacitated were able to maintain a pistol license. It was a significant discrepancy between self-reported problems and real –world behaviors that did not make sense, which is common in malingering. This led to monitoring of these people’s social media accounts and more in depth file reviews. The review found that patients claiming total disability were pictured doing all sorts of activities that they should not have been able to do if their disability claims were accurate such as flying helicopters, riding motorcycles, and holding separate jobs. Reports from undercover agents and intercepted phone calls were the proverbial icing on the cake. The Manhattan district attorney, Cyrus Vance, was quoted as saying about those indicted that “Their brazenness was shocking.” In a way, it does seem shocking at first. But when one stops to think about it, was their behavior really so shocking when they know that no health care provider will say they are malingering? It is unknown at this point if any of the health care providers actually knew of this scheme, but one of the ringleaders indicted (Joseph Minerva) was allegedly specifically tasked with finding psychiatrists and psychologists to diagnose conditions that would lead to a determination of disability. For Minerva to pull this off would require him to have done one of two things (or both): a) find healthcare providers who knew about the scheme and would write false notes in exchange for kickbacks, b) find healthcare providers who were naïve enough to believe everything presented to them. The latter would have also been laden with financial incentives due to an increased referral base. It is significantly problematic that the healthcare providers in these cases were completely fooled by over 1,000 patients and that they presumably did not identify a single case themselves as malingering. It is important to note that it was the field of clinical neuropsychology that raised the awareness of the SSA to the problem of malingering. Initially, due to numerous misconceptions, the SSA decided to no longer fund the use of techniques that can help identify malingering in a ruling on September 13, 2012. However, after consultation with national neuropsychological organizations, U.S. Senator Tom Coburn wrote a letter to the SSA urging reconsideration of this policy based on the weight of the current scientific evidence. The Social Security Administration responded that they would seek external expertise to evaluate their policy on tests that can help identify malingering when determining disability (Congressional Report No. A-08-13-23094, 2013). This recent scheme that was uncovered should provide further evidence that Senator Coburn is correct and that the use of such techniques should be funded by the SSA. Click here so see Senator Coburn’s interview on 60-minutes, where he goes into detail regarding the costs of malingering to society. An additional recommendation that I and others in this area have is for healthcare providers to be afforded administrative and/or legal protections against complaints by identified malingerers, so long as the determination of malingering can be defended using currently accepted scientific standards. Until that happens (which may be never), patients who report mental disabilities in the context of a disability claim, litigation, compensation-seeking, seeking academic accommodations, seeking prescription drugs of potential abuse (e.g., pain killers, stimulants), who have a potential desire to avoid work, military service, school, or prosecution, should be required to undergo a comprehensive neuropsychological evaluation by an evaluator who uses scientifically reliable and valid malingering detection methods. The results of such evaluations need to be incorporated by other health care providers to reduce the financial burdens on the healthcare system and on society. Board certified neuropsychologists can be located at the American Board of Clinical Neuropsychology and the American Board of Professional Neuropsychology websites. Healthcare providers need to be reminded that they are supposed to be scientific-practitioners first (basing diagnoses and treatment planning on reliable and valid objective information) and to be patient advocates second. Unfortunately, for too many healthcare providers, patient advocacy has superseded the scientific method and now we are all paying the price...literally and figuratively.